The tram used to be an extremely popular transport system in Barcelona. The first line opened in 1872 and since then, the tramway network expanded and thrived during the first decades of the 20th century. Unfortunately, slowly they were replaced by buses and the metro, and by the 1970’s there were no remaining tram lines in Barcelona. 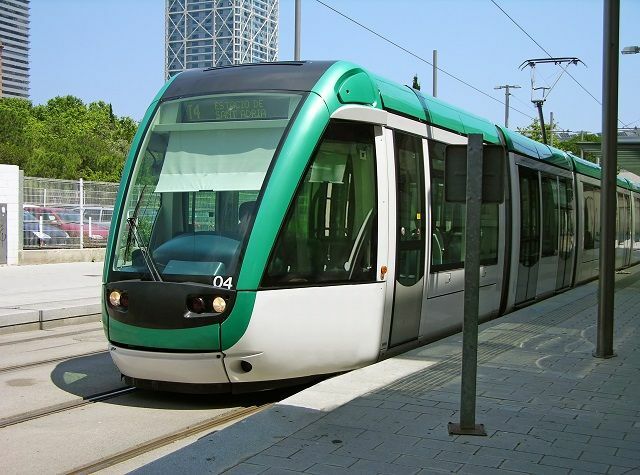 However, the tram returned to Barcelona in 2004, with two new systems that proved to be very successful. Currently there are two Tram lines in Barcelona: the Trambaix, that goes from Francesc Macià Square in Diagonal Avenue, up until Cornellà de Llobregat with lines T1, T2 and T3. The Trambesós goes across from Ciutadella Villa Olímpica right by the Barcelona Zoo to Glòries square to the Port Olímpic, up until the Fòrum and Badalona, with lines T4, T5 and T6. Unfortunately. the Tram in Barcelona doesn’t cover the whole city, it works as a link between the Metro network and some areas of the city not well connected in the past. The service is extremely modern, works smoothly and it’s very pleasant to use. To use the Tram you need the same regular ticket you would use for the Metro or Bus, and there are vending machines on every station, credit and debit cards accepted as well as cash. 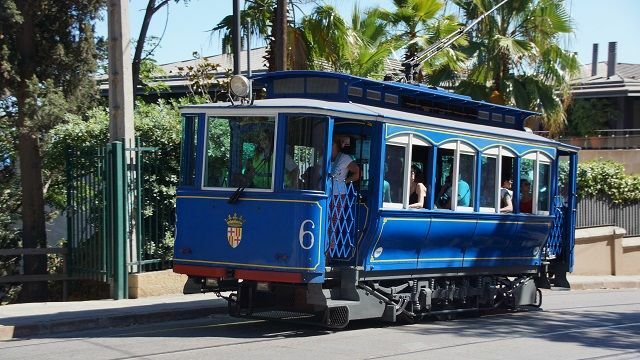 There is a historic Tram line that still works, connecting Tibidabo Avenue and the Tibidabo Funicular, called the Blue Tram. Dating from the turn of the 20th century, is the only old Tram line working in Barcelona, and it’s a fantastic experience to start your journey to Tibidabo mountain by taking this historic route. This line is also operated by the Barcelona transport network, but it costs a separate fee of 3€ (one way) or 4,70€ (round trip).